Our lives represent a dynamic interplay of Order & Entropy. These competing impulses intersect to form a vital crux; the heart of the human condition. 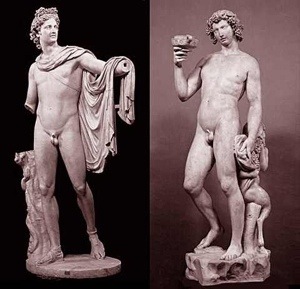 Good old Friedrich Neitzsche memorably personified these two forces in the form of the Aegean deities Apollo & Dionysus—a dichotomy which first appeared in his famous work, The Birth of Tragedy. The lucha libre betwixt these two demi-gods finds expression, for instance, in the apparent paradox of Fate & Free-will: in one sense, we clearly enjoy the liberty to make decisions. And yet, we also perceive an ordered sequence of events. Like the handiwork of Hepaheastus, cosmic blacksmith, this process forges an interminable causal chain. Actions have consequences; cause begets effect, which in turn ripens into the cause of a new sequence. Apollo tells such order. Dionysus defies it. His ontology is undifferentiated, random, relative. Dionysian reality is not a chain but a soup; the broth of primordial unity—the chowder of entropy. In the context of Rolfing® therapy, our challenge must be to recognise & accommodate both Impulses within the scope of our work. We appreciate that our actions have physical & structural consequences. We also appreciate that we do not control these consequences. We accept that we control the result only to the extent that we create the appropriate causes & conditions for it. In our particular context, we influence the outcome of structural integration by supporting the body’s innate resources. Then the body heals itself. Only indirectly can we induce this marvel; not through the outcome but the process. Here we adopt an unwavering faith in the activity of nature—that if we sow an acorn (and provide it with sunlight, water, soil, & shelter) it will become a sprout, and then a sapling, & finally mature into a towering arboreal titan. The process is both ordered & ultimately entirely out of our hands. Keeper of circadian order, every morning Apollo ushers in the dawn, born by twin fiery stallions. And yet at any moment our central star could presumably be gobbled up by some roving cosmic vortex: Dionysus robed in his cloak of dark-matter, a black hole that swallows up the whole sun. To hold both poles within our consciousness, integrating Order with Chaos within our ken: this is the ultimate expression of Balance indeed.